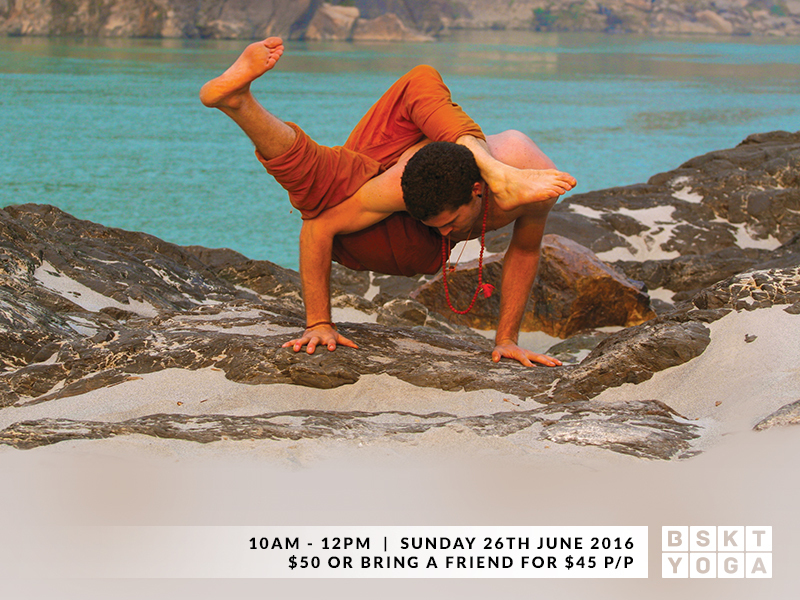 This 2 hour workshop will be taught by Nick Bradley, co-founder of Akhanda Yoga Australia. Nick has a way of taking you into the air, making even some of the most challenging poses, feel effortless. Whether you are new to inversions and arm balances, or an advanced practitioner looking to expand on your skills, you will explore new approaches to inverted postures and work on building the perfect balance of strength and stability in balances. Nick began his journey with Ashtanga Yoga and completed 3rd series, before he fell in love with the Akhanda Yoga Style from Yogrishi Vishvketu. Akhanda Yoga is a traditional style of Hatha Yoga which focuses on balance.